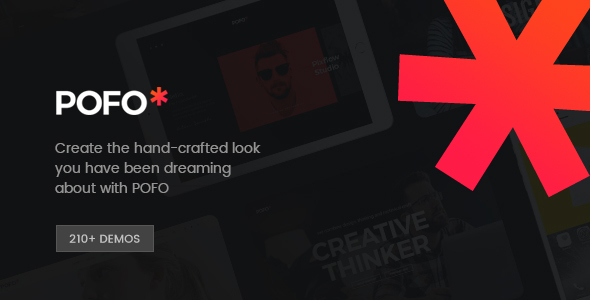 Create the hand-crafted look you have been dreaming about with POFO & WordPress. 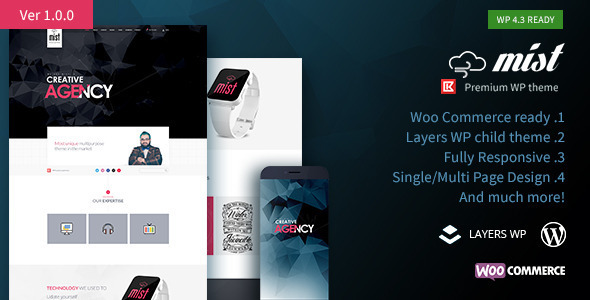 A beautifully developed Theme for use in Agencies, Creative teams, Photographers, Artists and Corporate Business with WooCommerce, Responsive Design, Multiple layouts and Drag & Drop Page Builder functionality with Visual Composer. Take a look around at POFO and what you will see is meticulous attention to detail, carefully crafted web elements that work together harmoniously, thoughtfully designed attributes and creatively developed features that will help your new website stand out from the crowd. Give your website that hand-made feel by using any of the hundreds of web elements at your disposal, select from over 200 pre-built templates for a complete, ready to roll-out standalone complete website. Our crisp design will showcase your best feature – your content, because sometimes less is more. Get your new website up and running FAST with our One Click import setup. You can import full demos with everything in tact or you can chose the pages/posts/portfolios/products you like and only import those. It means that you can very easily have a fully working website without any hassle, and no coding required. Why reinvent the wheel when it works perfectly well? WooCommerce is the industry standard when it comes to eCommerce integration for your website. And it is easy to see why, it’s secure, powered by WordPress, backed by hundreds of developers all over the world, extendable and unlimited. Entirely open source so you can modify and customize anything to suit your needs. The WordPress Customizer lives in the backend of WordPress in the menu, and being so familiar to most users it makes sense to harness it fully to enable you to bring you the most flexible website possible. You can modify many elements of your site by simply clicking on the element you wish to modify and updating it. This allows you to make changes fast, see those changes in real time, and then decide if you are going to publish or not. Create any web element you can think of, save it in your library and reuse it over and over without touching a line of code. With a WYSIWYG (What You See Is What You Get) graphical user interface, you can easily drag a web element and drop it onto any page you are editing. By harnessing the power of the #1 best selling plugin WP Bakery Page Builder (formerly Visual Composer) you can use the frontend or backend editor to build custom posts, pages, grid designs or templates. 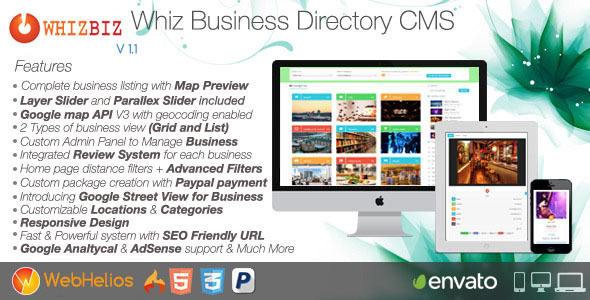 It’s comprehensive, SEO friendly and easily extendable. Save a stack of cash with our bundled plugin offer included with your one off purchase price and download. 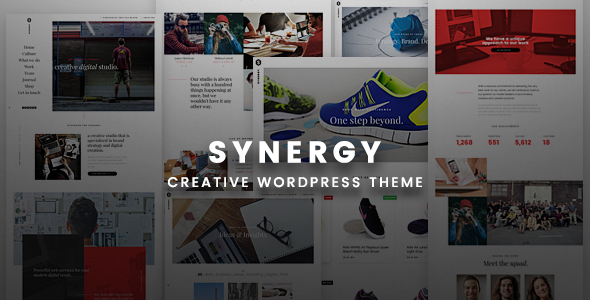 Simply download and activate with your Theme package and forget about compatibility issues. Create almost any web element you desire with the Drag & Drop simplicity of the #1 top selling Plugin for WordPress, WP Bakery Page Builder (formerly Visual Composer). Slider Revolution – as they say, it’s not just a Slider Plugin, it’s a new way to deliver ideas. Create beautiful content in a creative way whether it’s a Slider, Carousel, Hero Scene or Full-page Video backgrounds, the Slider Revolution Drag & Drop Editor has you covered. You’ll also get guaranteed compatibility with the plugins listed below, simply chose the ones you require, download and activate the get started with SEO, email marketing or a full-blown eCommerce website. POFO has been carefully tuned for the best SEO results. By using up-to-the minute strategies and techniques to ensure your website gains the best possible ranking in search results, all you need to do is add your own content and let POFO take care of the rest. Your new website will also be optimized for the best performance with optimized cache, images and WordPress databases, as well as utilizing the best practice HTML5 & CSS3 frameworks so that your site will outperform the competition. With a strong focus on the design community, POFO has been critically designed to bring an inspired and minimal design that helps put the focus onto your content. With lots of pre-built homepages crafted this way we are sure you will find one to suit your needs. Beautiful demos of agencies, corporate, business, portfolio, blogs, magazines, design and more at your fingertips, all with sleek animations and parallax effects that blend in rather than jar your eye, POFO is full of the kind of design aspects that will impress your clients, and create lasting business. 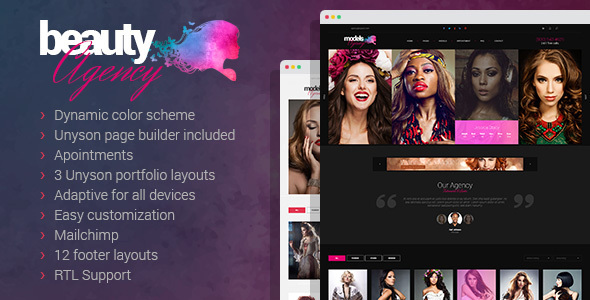 You’ll not only gain access to a stack of beautiful complete demo websites with POFO, you will also find over 200 pre-built templates overflowing with stunning design elements to whet your creative appetite. Shortcodes are easy to use, feature rich, ready to go and designed to help you get your ideas onto the page quickly and easily. Every element features a different design trend with the same laser-like focus on content that you’ve asked for. POFO really suits a plethora of different applications, be it a business website or a creative blog, a design agency or a premium photography studio, a web design company or an artistic portfolio, POFO and ThemeZaa have got your back. With a feature list as long as your arm, we are sure there is something for everyone and nothing you don’t want. POFO for WordPress – you’re going to love it. 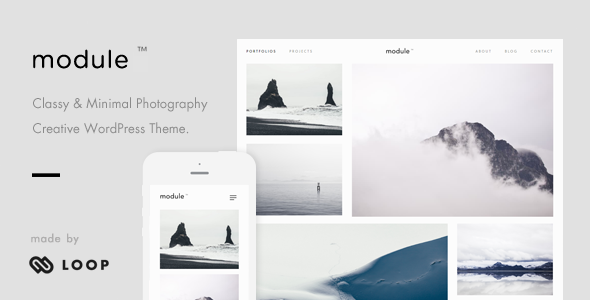 Lots of excellent layout possibilities with multiple post types supported: video, image, gallery, standard, slider, quote and audio so you are sure to find something to suit your needs. You’ll find beautifully styled posts types with easy to use Shortcodes for cool and easy to implement layout styles. Of course each Page or Post can feature Author details and has full social media integration to make your life easier. SEO Optimized – Theme codebase is search engine friendly, implemented hentry and Google structured data as well as compatible with widely used Yoast and all in one SEO plugins. One Page Ready – There is one awesome onepage home page demo built-up with many creative sections and elements; one page option is added in WordPress menus, which will add smooth scrolling to linked sections. Clean Developer Friendly Code – Theme is coded with WordPress standard practices in very neat and clean way and hence it is vey easy for WordPress developers to customize the code for any deep changes or addition of new features. Custom Sidebars – POFO have feature to add unlimited custom sidebars, so users can add their desired widgets in those sidebars and assign them in header, footer, page / post left / right navigation as well as in content area also. Custom Widgets – POFO provides some custom widgets like Instagram, social icons, latest blog posts and about me with customization options, which can be added in your sidebars with your style and options. Font Icons – POFO integrates awesome and stylish fonts, which loads very fast with your own brand colors and size using Font Awesome, Themify and Et-line font icon libraries. Translation and WPML Ready – POFO is providing language files, which can be used in POEdit tool to translate all theme related strings to your desired language and you can also implement multi-lingual website using WPML plugin. Powerful Shortcodes – Plenty of pre-built shortcodes are developed to achieve all 150+ unique elements as showcased in theme demo with maximum customization possibilities to achieve your brand and imagination. 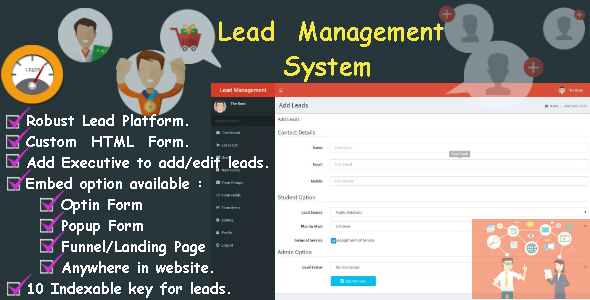 Page/Post Level Customizations – All of the major theme customization options are available at post / page level also to differentiate any specific page / post from overall website layout, header, footer, sidebar and page title. Quick Install and Easy Setup – Quick and very easy installation process for theme and included plugins within WordPress backend as well as via FTP and thanks to easy written and video tutorials for the same. Under Construction / Maintenance Pages – No need to use a separate plugin to put site under construction or maintenance as POFO have built-in option for this. We have also provided ready demo pages for this with countdown timer and newsletter subscription form. Built-in Megamenu – POFO have built-in megamenu option, so no need to use any plugin for that. Menu can have icon, columns setup, banner images using sidebar and widget as well as standard dropdown option is also there. Parallax & Video Backgrounds – Nice looking parallax background images and auto play video background make the content section shiny, alive and eye-catchy with your desired content blocks within the section. Endless Typography & Color Options – POFO provides lots of typography and color choices to change theme base color as well as choose other elements colors within WordPress customizer and specific element shortcode also. Child Theme Ready – For customization of theme or addition of new features, it is always recommended to install child theme to retain your customization even after parent theme update, so blank child theme is already included in the package. Social Sharing Integration – Again no need of extra plugin to add social sharing feature as POFO provides social sharing feature to share your awesome posts in your widely used social media profiles with just one click. Cross Browser & Device Compatible – Overall theme pages and all elements are thoroughly tested in all devices like desktop, tablet and mobile as well as all browsers like IE 10+, Chrome, Firefox, Safari, Opera and Edge to make it look nice anywhere. Lifetime Free Updates – We update our all themes regularly to make it compatible with latest WordPress, theme included latest plugins and implement fixes or add new demo / feature and you can get these updates free for lifetime. Awesome and Helpful Documentation – We have created online detailed documentation for how to install theme / plugins, use WordPress customizer to change theme settings, change content using ready shortcodes, how-to articles and much more. Deciated Professional Support – Our team of support professionals always love to answer support queries on time with polite, detailed and helpful answers and this is the reason we are rated with 5 star and great reviews from our awesome customers. Images shown in our demo site are not the part of theme package due to licensing limitation and hence we are providing placeholder images with recommended image size mentioned in it. Any type of theme or css customization, theme and demo data installation as well as new feature addition is not the part of item support scope as per Envato item support policy.